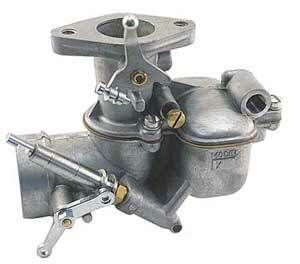 The Tillotson Carburetor was a popular aftermarket carb that was fitted to a lot of Model A Fords. Some people prefer the Zenith carb and some like the Tillotson. We offer parts for both of these carbs, together with a brand new assembly. 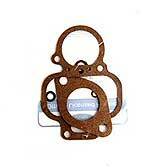 Carb Gasket set for the 1928-31 Model A Ford fitted with the pot metal Tillotson carb. Made in USA. (Designed for the Zenith carb, but also fits the Tillotson). Tillotson Carb Basic Rebuild Kit 1928-31. All the needles, jets, and float valve for the Tillotson carb. This kit only works on pot metal Tillotson carbs with the bowl that is held on with 3 screws. They are also sometimes identified as model 'X' or model 'XF'. Made in USA. Ball Type Needle/Seat for the 1928-31 Tillotson Carb . 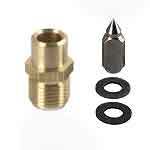 Similar to the Grose-jet style valve. This unit replaces the old needle and seat. This jet uses two balls instead of a needle to shut off the gas flow. The original style Carb float valve for the 1928-31 Model A Ford fitted with the Tillotson carb. Tillotson Carb Adjustment Needle on the 1928-31 Model A Ford. The brass adjustment needle that is controlled by your choke rod. 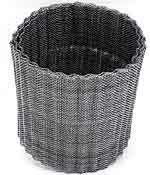 This is an important item to your cars performance. Make sure that your point is in good shape. Made in USA. This is the brass seat with stainless needle for the Tillotson Carb. To install, slide needle into housing, then tap the end of the needle to seat it to the housing. Main jet kit for the Tillotson carb. The small Jet is 12/32 and the large jet is 3/8-24. Tillotson Carb Choke Shaft Lever for the 1929-31 Model A Ford in Stamped Steel. This is the lever only for the choke shaft. Tillotson Carb Float 1928-31. A brass float for the Tillotson carb. Made in USA. 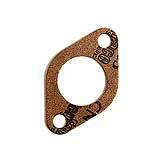 Tillotson Carb Float Hinge Pin . This is the pin that the float pivots on. Cad Plated Carb choke driver for the Tillotson Carb . The adjustment needle is what your choke rod hooks on to. Cad plated finish was original. Made in USA. Tillotson Carb Choke Shaft 1928-31. Won't work on cast iron style Tillotsons. Made in USA. Tillotson Carb Choke Plate 1928-31. Made of brass for long life. Will not work on cast iron style Tillotsons. Made in USA. Tillotson Carb Throttle Shaft 1928-31. Throttle shaft with lever for the Tillotson carb. Won't work on cast iron Tillotsons. Made in USA. Set of throttle shaft bushes for the Tillotson carburetor. Tillotson Throttle Plate 1928-31. Made of brass for long life. Will not work on cast iron carbs. Made in USA. 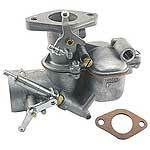 This is a brand new reproduction of the popular Model A Ford Tillotson Model X carburetor. All new tooling and cast in high quality zinc. 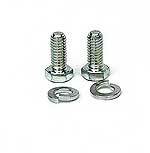 Tillotson Carb plate Screw set . 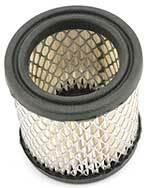 Consists of Four 6/32 x 1/4 screws and four external lock washers for both the choke and throttle plate. 8 piece set. 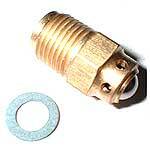 Tillotson Carb Idle Mixture Screw 1928-31 Comes with spring.